The initiative includes the development of translations for words and concepts such as ‘Takiwatanga’ for ‘Autism’ which means “In his/her own time and space”, a non judgemental representation that is based on the strength and ability of people. Even though language evolves with time, language barriers like the lack of in-language terminology for conditions and disability in many sectors and communities still exist. This can particularly be an issue for the provision of better services and resources in health sector. The desire and need for organisations to evolve and better communicate with the communities they serve is best represented by our work with Positive Partnerships, a federal government funded national program delivered by Autism Spectrum Australia that works to improve the educational outcomes of school-aged students on the autism spectrum. 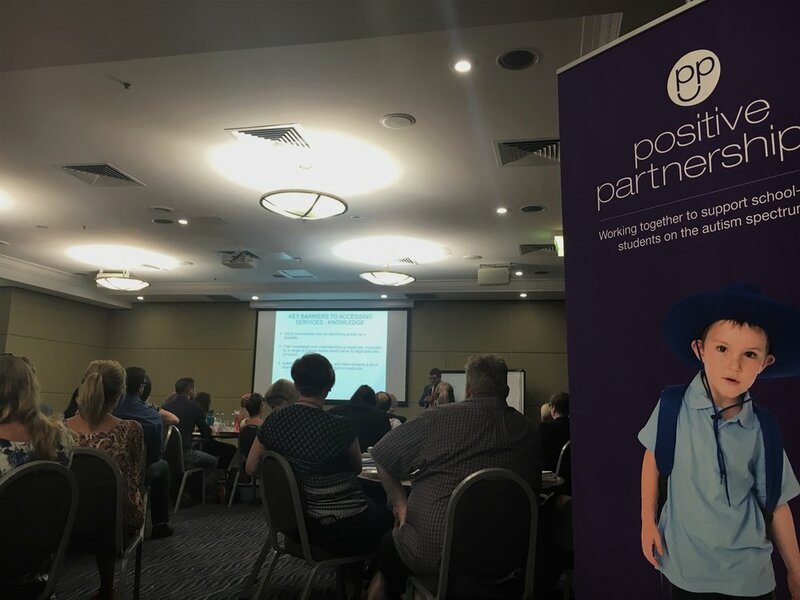 Our work with Positive Partnerships, now in its third year is continuing to provide a consistent approach to community engagement to help Positive Partnerships meet the needs of school-aged children with autism from CALD backgrounds, their parents, carers and teachers as well as developing partnerships with external organisations. At a key information session for Positive Partnerships staff today, we shared our expert insights into engaging with cultural and linguistically diverse communities about autism. Language barriers and difficulties were once again discussed as one of the biggest issues facing staff when communicating with culturally diverse communities about autism. According to the National Centre for Classification in Health (University of Sydney 2015), people who speak mainly a language other than English (LOTE) at home have a relatively higher level of need for assistance than those who speak mainly English at home. Our work has begun to address these issues further through the translation of a suite of resources into 10 languages to help interactions between Positive Partnerships staff, school teachers, as well as CALD parents, carers understand Autism. Today’s information briefing will work to support Positive Partnerships staff shape their strategies and practices for engaging with diverse communities. We’re very proud to be working with Positive Partnerships to an equal environment where everyone can access to resources, assistance, and services. Older PostCultural Perspectives Group Wishes You a Happy Lunar New Year!